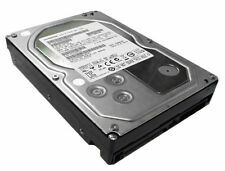 The Ultrastar SATA drive family features Hitachi-patented Rotational Vibration Safeguard (RVS) sensor technology, which optimizes drive reliability in multi-drive RAID arrays and rack-mounted systems. A+ GRADE! TESTED! TRUSTED SELLER! 1 YEAR WARRANTY! 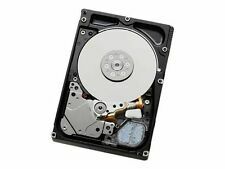 Hitachi HTS543232L9SA0 320GB 5400RPM 8MB Cache 1.5Gbps SATA 2.5" HDD #H153. Condition is Used. Shipped with USPS First Class Package. 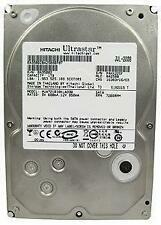 [TESTED & WORKING] 750 GB Hard Drive, Hitachi Ultrastar, 7200 RPM, 3.5"
Rotation Speed: 7200RPM. Software & Drivers can be downloaded online. SATA 3.0 Gb/s. Part #: 0G04455 Condition: Recertified Warranty: 60 Days Warranty . Manufacturer Hitachi. Spindle Speed 5700 RPM. Product Type Internal Hard Drive. Internal Thermal Sensor. LDPC and CRC Protection. Head Load/Unload Ramp. CoolSpin Technology. HiVERT Technology. LIKE NEW! A+ GRADE! TESTED! TRUSTED SELLER! For Dell Servers R310 R410 R510 T610 T710 R710 and a lot more. 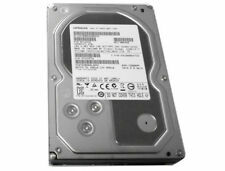 600GB 15K SAS Hard Drive 3.5" With Dell Tray. Trending at $37.00eBay determines this price through a machine learned model of the product's sale prices within the last 90 days. We upgraded computers with solid state hard drives before we deployed them. They have windows 10 pre-installed. The drives were pulled before the initial windows setup could occur. The drives have been sitting in storage for a few years, but essentially have never been used. Local pickup is available. The item exteriors may have minor scratches, scuffs, dents, cracks, nicks, etc. RAKI # R4~SF~L2 (D2194). Up for sale is qty:1Hard Disk 250GB HDD 2.5" Hitachi Laptop Windows Apple 0A78252 Pulled from working MacBook. 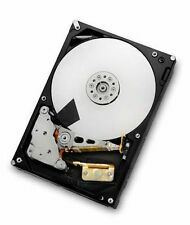 Used 2.5" SATA Laptop Hard Drives (lot of 10). 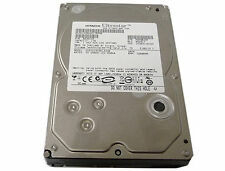 10 - HITACHI - HTS543232L9SA00. Drives are USED and wiped clean per DoD specifications.